Eczema wet wrap therapy provides intense moisture and quick healing with our WrapESoothe™ Eczema Sleeves. These wet wrap bands/sleeves are made with soft, stretchy fabric, making it easy to place the band around the area where you need it most. The fabric stays soft and remains close to the skin, making it more comfortable, especially with the non-irritating flat seams. Can be worn under regular clothing. 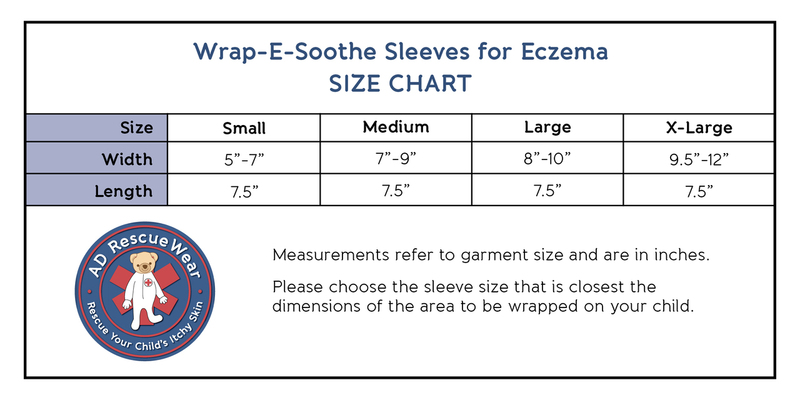 Worn wet or dry, these eczema wraps will offer relief from itchy skin for young children to adults. 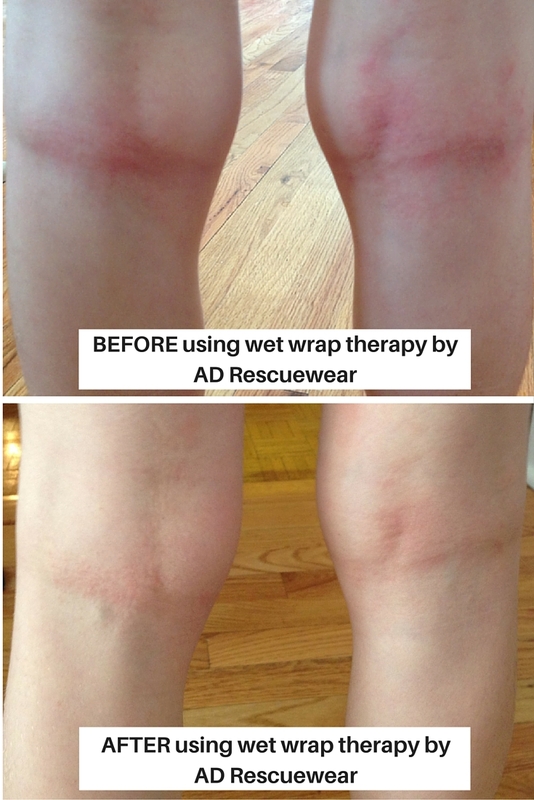 Ideal for dry or wet wrapping elbows, forearms, upper arms, behind the the knees, calves, and thighs. Inhibits bacterial growth on the skin. Thermo-regulated, breathable, extra soft, smooth fabric with 4-way stretch. Proud recipient of National Eczema Association's Seal of Acceptance. 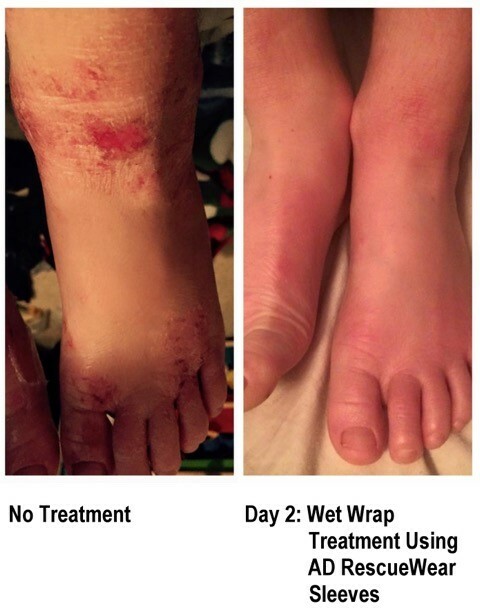 Learn more about wet wrap therapy for eczema. Take a look at the full line of AD Rescuewear Wet Wraps: fully body suits for young children and tops and bottoms for big kids. When wet wrapping with the WrapESoothe Bands try our 100% organic Cotton Comfort clothing as the top dry layer. For TENCEL plus zinc, check out these Eczema Bandages from Remedywear. Why not try our Super Dry Skin Soother with wet wrapping as Arianna loves in this video? Measure the circumference of the limb to determine the best size. Fits most children's arms and legs. Fits most adult's arms and feet and may fit some adult's legs as well.